Everyone has their opinion, but when it comes to a blended whisky, opinion is very much divided. It’s more down to stigma I think, and the fact that many pubs and bars back in the day only really stocked the blends because they were cheap and satisfactory. These days however, they are so much more. Blends have now been branded as superb, exciting, and even one has been targeted towards that fickle age group of trends in young adults. 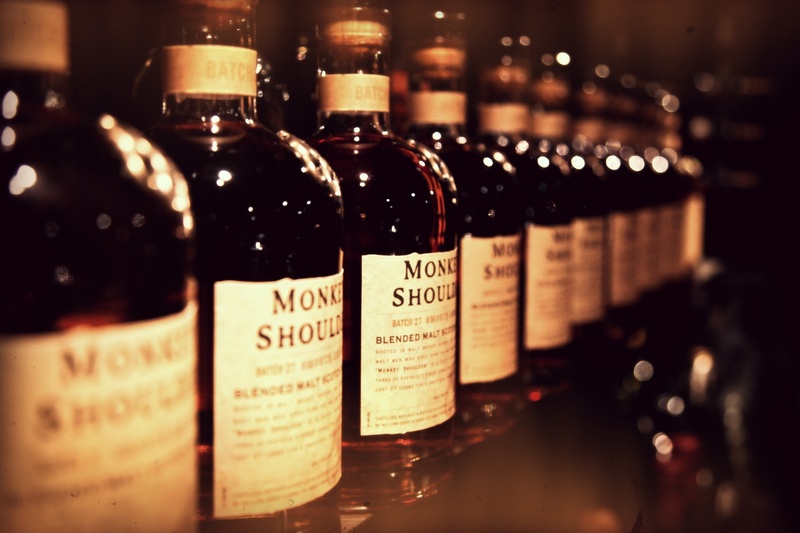 Monkey Shoulder came to light in 2005 from the family of William Grant & Sons. Experts in whisky themselves, they are home to such names as Glenfiddich and The Balvenie, with the Kininvie Distillery in Dufftown, Scotland the location of William Gran & Sons blended malts alongside fellow blend Clan Macgregor. The adventure of Monkey Shoulder and the following it has gained stems from the selection of three of the Speyside’s malts and mature them in ex Bourbon barrels. The length of maturation is unknown, but Malt Master David Stewart will choose the best 27 batches and start the blending process after testing each one. 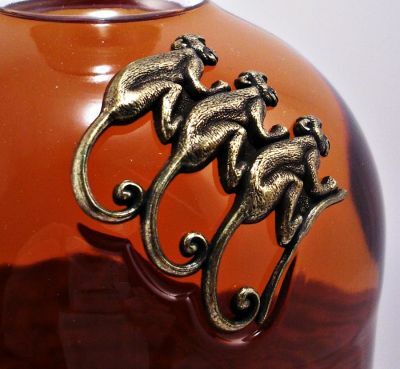 Once blended, it is further aged before being bottled and stamped with the signature metal monkeys. Speaking of the monkeys, how did the name come about? Monkey Shoulder refers to a temporary injury suffered to the malt men who turned the barley by hand. Of course, these days the injury has been consigned to the history books, although William Grant & Sons still having a malt floor. Soft fruit nose with hints of citrus and vanilla. Smooth on the palate with a slight spice lingering. Sweet toffee flavours mix with the vanilla nicely to create a long finish. In a mixing glass, stir all the ingredients together until ice-cold. 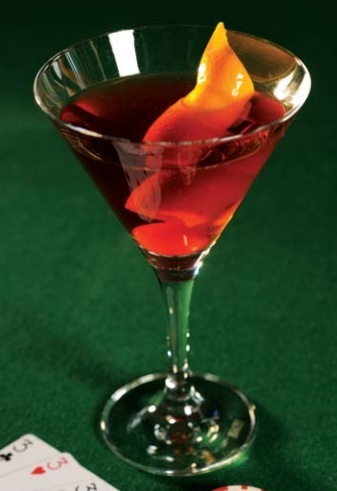 Strain into an ice-cold Martini / rocks glass. Garnish with a lemon wedge & fresh cherry. Two great ways of enjoying this blend. Monkey Shoulder is a mainstay when it comes to an introductory whisky. Perfect for those who have never tried or want to get into whisky, but don’t want to ruin their experience by heading for something harsh. Monkey Shoulder ticks all the boxes, so give it a go!